Long-serving Heavy Vehicle Industry Australia (HVIA) president Bob Martin will retire from the industry body in October. Using the upcoming annual general meeting as his goodbye, Martin will step down from his position as president and as a member of the HVIA board. Leading the body through its transition from the Commercial Vehicle Industry Association of Queensland (CVIAQ) to the HVIA in 2015, Martin will be remembered for being both the last CVIAQ president and the inaugural HVIA president. Reflecting on his time, Martin says "after twelve years on the board it’s time to move over and let the next generation of directors take the lead of HVIA." "It has been an absolute honour and a pleasure to lead CVIAQ and then HVIA in its inaugural year," he says. Martin joined the CVIAQ board in 2004 and became its president five years later, serving from 2009 till its change in 2015. 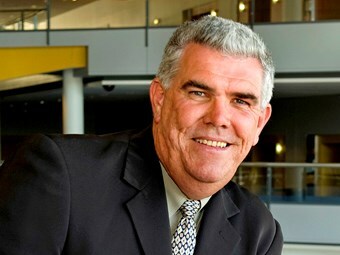 While overseeing the change in direction, which he says "is significant as it completes HVIA’s transition to a truly national body," Martin has also presided over the construction of the HVIA’s national office at Seventeen Mile Rocks, Queensland in 2009 and the relocation of the Brisbane Truck Show to the Brisbane Convention and Exhibition Centre in 2011. Handing over the reins, he says the "HVIA is in great hands". "I fully support the nomination of director Mario Colosimo of MaxiTRANS Industries to the position of President, and director Nathan Usher of Cummins South Pacific as Vice-President and look forward to seeing HVIA continue to grow and make a real difference for all sectors of the heavy vehicle industry," he says. The HVIA AGM will be held on October 19.